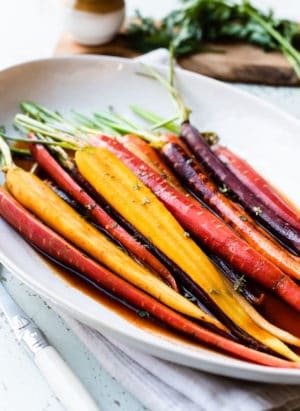 Honey-Spice Glazed Carrots – cooked with caramelized honey, a dash of cumin & smoked paprika, these spicy, honey glazed carrots are sweet, spicy, and simply delicious! 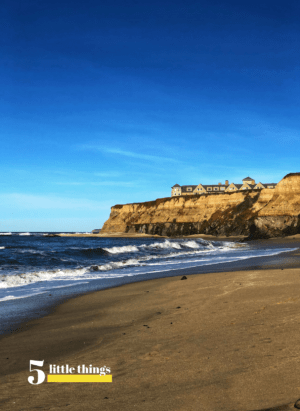 Five Little Things I loved the week of January 11, 2019: Marie Kondo, happy news, not-so-secret random facts and more! 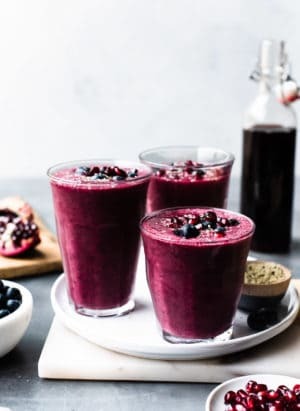 A Pomegranate Berry Smoothie is a wholesome, refreshing way to start the day, refuel after a workout, or to tide you over to the next meal! 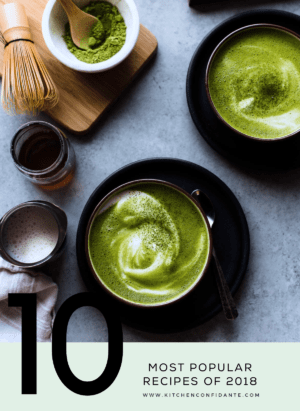 Five Little Things I loved the week of January 3, 2019: lobster, avoiding cleanses, dancing on the tarmac, and more! 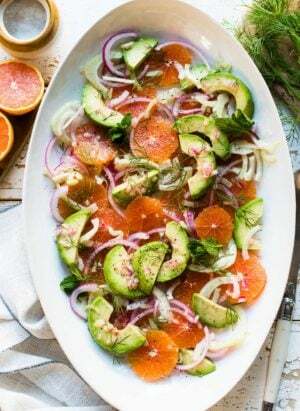 Citrus and Avocado Salad with Quick-Pickled Fennel – bright oranges, creamy avocados, and quick-pickled fennel and red onion in a simple and refreshing winter salad! 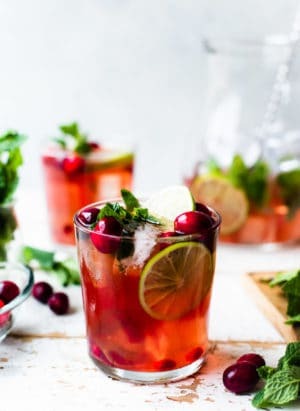 Say cheers to winter with a Cranberry Pomegranate Mojito! 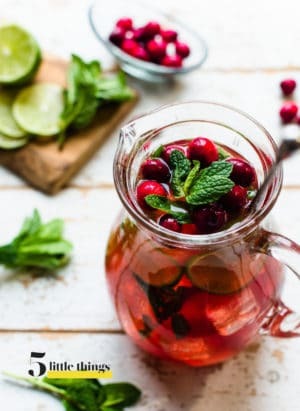 This cranberry cocktail made with rum is perfect for toasting the holidays! 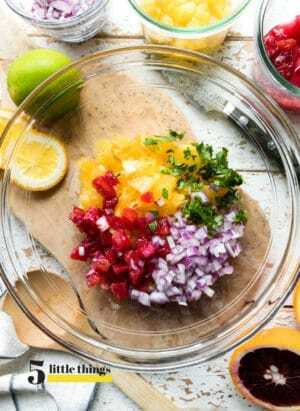 I’m sharing the most popular recipes on Kitchen Confidante in 2018: the top five recipes published this year AND the top five recipes of all time. See what everyone else is loving and find your new favorite recipe today! Five Little Things I loved the week of December 28, 2018: holiday toasts, rest, inspiring 8-year-olds, and a new and improved Santa! 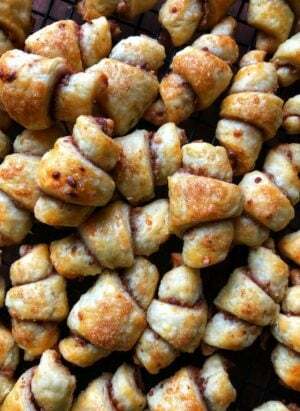 Cinnamon Toffee Butterhorns (Rugelach) – no matter whether you call these cookies rugelach or butterhorns, you will love this rugelach recipe made with sour cream dough and filled with toffee! Five Little Things I loved the week of December 21, 2018: ultimate gingerbread houses, Home Alone (again), emotional support chickens, and more! 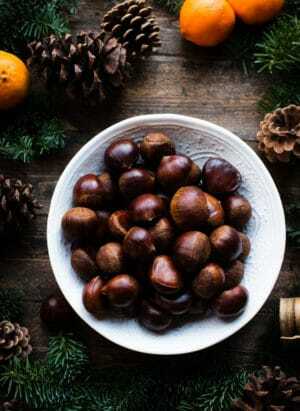 Roasting chestnuts is as much a tradition during the holidays as decorating the tree. 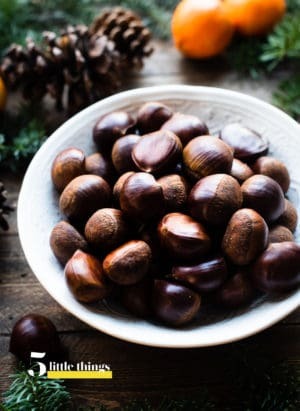 Learn how easy it is with this oven-roasted chestnuts recipe! 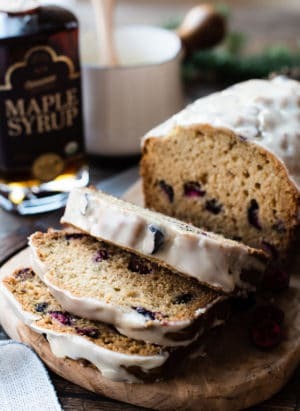 Maple Glazed Cranberry Bread – a quickbread for cranberry lovers! Sweetened with maple syrup, studded with fresh cranberries, and drizzled with a maple glaze, this cranberry bread is perfect for holiday gifting, brunch, or with your cup of afternoon tea! 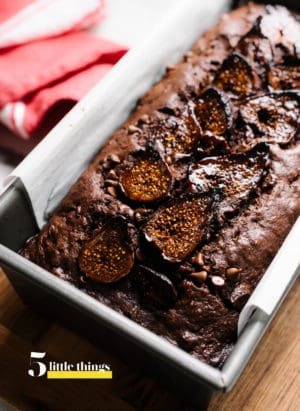 Five Little Things I loved the week of December 14, 2018: baking with chocolate, cookies, new shows to watch, and more! The only thing better than coffee and doughnuts is Coffee-Glazed Baked Chocolate Doughnuts! 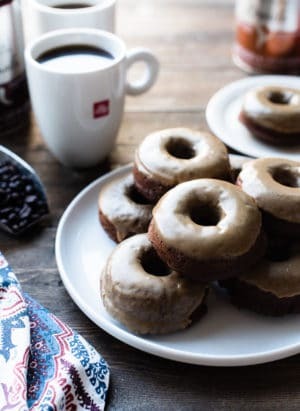 Try this easy baked doughnut recipe made for coffee lovers! 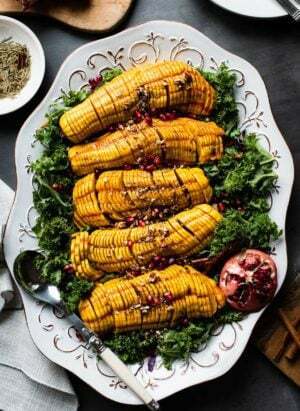 Maple Cinnamon Hasselback Delicata Squash is elegance with ease! The soft skin of delicata squash is edible when roasted, which means no peeling! Serve it as a side dish or as part of your favorite salad, for a simple dish fancy enough for the holidays.